The Organisme de concertation pour l'eau des bassins versants de la rivière Nicolet (COPERNIC), founded in 2002, is dedicated to protecting and promoting aquatic environments by encouraging cooperation among various stakeholders in the Nicolet River watershed. Manon Couture has worked for COPERNIC as project leader in charge of watersheds in the southern Lake Saint-Pierre region since 2009. Her work involves encouraging joint action among all stakeholders in the sub-watersheds that have been identified as priorities. Manon Couture supports those stakeholders in planning and carrying out their projects. 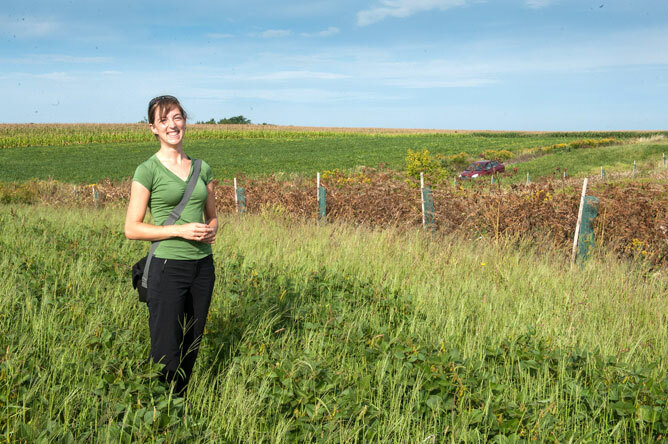 She introduces us to a project that is very important to her: the creation of a wildlife corridor along the western branch of David-Houle Stream. The land belongs to the Société d'Aménagement Récréatif pour la Conservation de l'Environnement du Lac Saint-Pierre (SARCEL), and is located south of Highway 132 in the town of Baie-du-Febvre, RCM of Nicolet-Yamaska, along the western branch of David-Houle Stream. The stream flows directly into Lake Saint-Pierre. The area targeted by COPERNIC is 70 to 160 metres wide and two kilometres long. 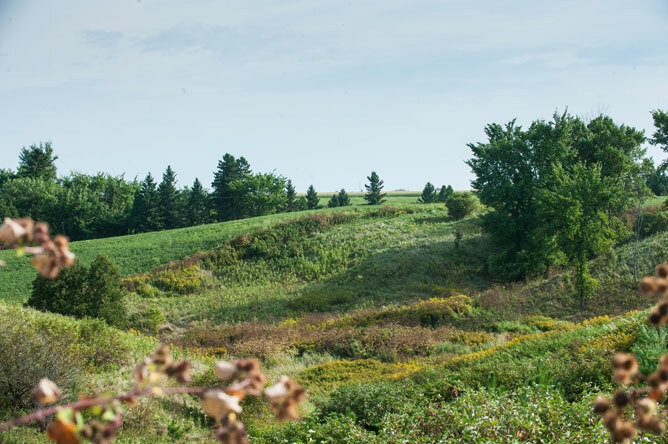 As part of this project, 425 white ash and 75 bur oak have been planted along the ravine, over a distance of 1,250 metres. These trees stabilize the bank and, along with the pines already grown along the stream, provide shelter for White-Tailed Deer. 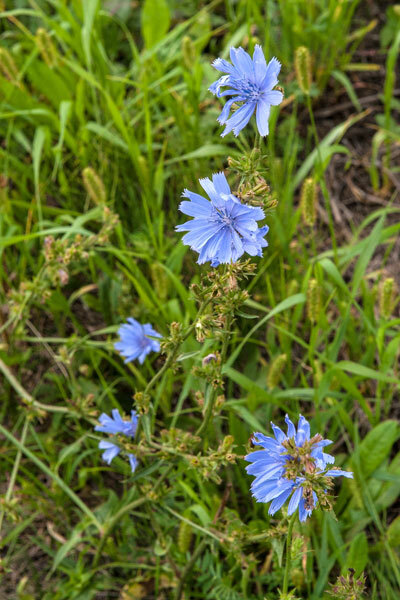 The plantation is intended to diversify the habitat and increase biodiversity. 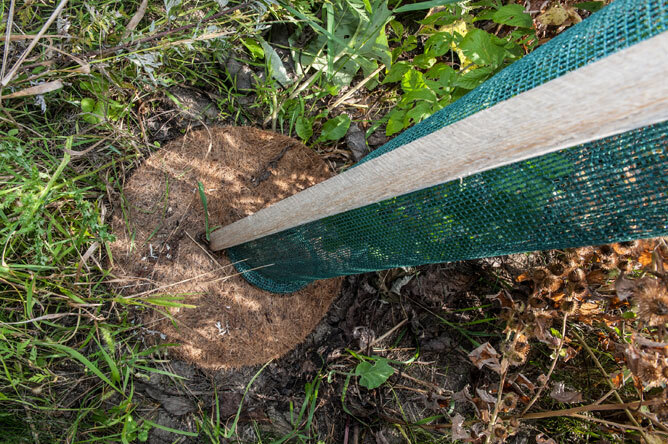 To protect the young trees from grazing deer, netting is placed around the trunk and anchored to a stake. These tree guards are removed after two years. 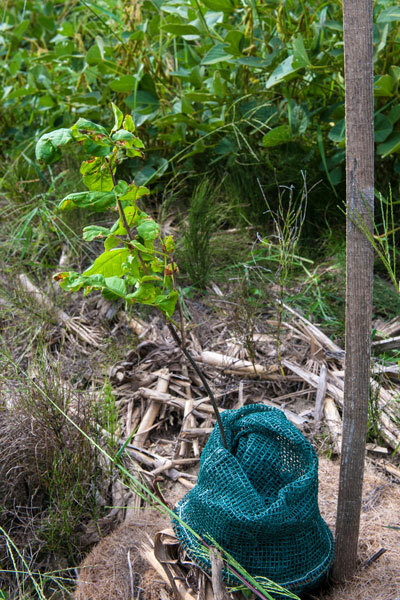 Coconut mulch is spread over a 45-centimetre radius at the base of each tree to maintain humidity and prevent other plants from competing with the tree and slowing its growth. The land owned by the Société d'Aménagement Récréatif pour la Conservation de l'Environnement du Lac Saint-Pierre(SARCEL) is leased to farmers, who are required to leave a buffer strip several metres wide to limit erosion and reduce the amount of nutrients of agricultural origin that seep into the stream. Plant cover plays an important role in preventing erosion. Shrubs such as red osier dogwood are very useful in retaining soil. The ravine of David-Houle Stream was created by a series of landslides. Because the soil here is rather unstable, it is essential to maintain adequate vegetative cover and avoid disturbing the soil. That's why an undisturbed buffer strip must be maintained along the stream.